Here is a look at my completed card. I started by using my Pazzles to create the butterfly cuts on the mat. The card base is 4.25 x 5.5. It is a kraft cardstock base. The patterned paper is from the Craft Smith Co Painted Posies Paper Stack. I then used my quatrefoil embossing folder and my cuttlebug to emboss the white mat after I cut the butterflies. I also created the label tag on my Pazzles. I used my April stamp set and my Whisper Ink Pad to stamp the sentiment. I used some Buttercream twine from the Twinery and wrapped it around the mat. I used some foam tape to give the label a little lift. I finished off by adding a couple of pearl embellishments. After cutting the butterfly mat I used a piece of paper and then used a pencil to outline where the butterflies are. I then used my various Shin Han markers to color in the areas of where the butterflies would be. After I colored the spots in, I adhered it to the back of the mat. Here is one last look at the final card. I also added some White Liquid Pearls to add some dots to the centers of the butterflies. If you belong to the Pazzles craft room the file I created is free for you. Be sure to head over there and download it. 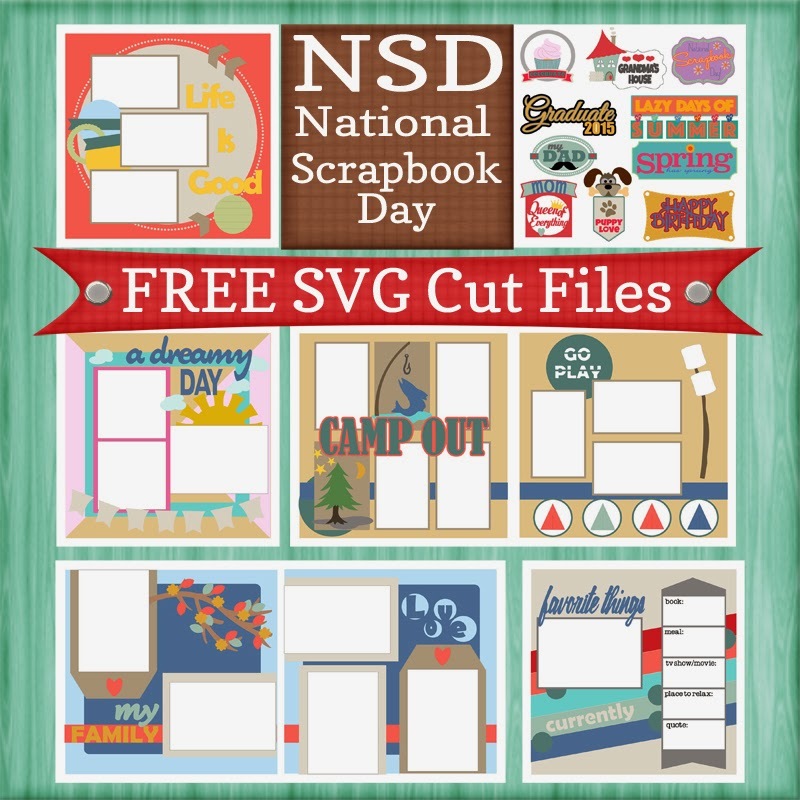 For those of you that scrapbook or started paper crafting from scrapbooking, then you probably know that this past Saturday was National Scrapbook Day. Pazzles had a wonderful day of activities lined up as well as some fantastic freebies that you can use to join in on their challenges. You have to be a craft room member, to join the challenges to win prizes, but you can setup a FREE Account. Head over to the CRAFT ROOM HERE and then you can download the freebies for a limited time AND join the challenges. The freebies will be found on each blog separate blog post. Just click the read more buttons by each post and then you can download them. They have ALL their files in .WPC format for Pazzles users as well as SVG format for other machine compatibility. Melinda this is a gorgeous card. So ingenious and simple how you coloured behind the butterflies.